Elite Skin & Lash is a day spa in Colleyville Texas specializing in personalized eyelash and skincare needs. At Elite Skin & Lash we recognize that each individual client’s skincare needs are unique and we cater to those personalized needs. 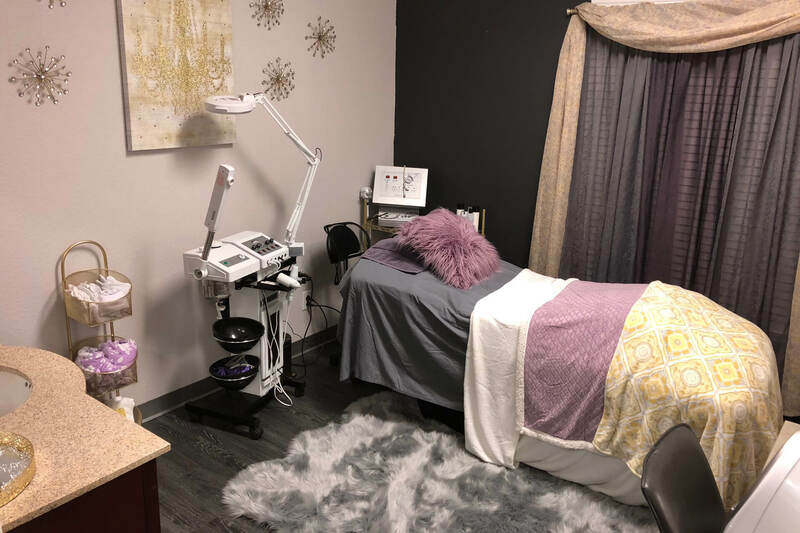 We utilize state-of-the-art technology, highly knowledgeable and experienced skin specialists, and some of the finest and results driven skincare products available while offering an array of affordable treatments and services. Maintain beautiful skin for a lifetime, using pharmaceutical-grade products backed by science and clinical studies to provide the elite standard for extraordinary skin care. Using scientific technology to provide 100 percent natural and nontoxic premium anti-aging skin care, these products were created in the belief that you deserve high-quality ingredients that deliver dramatic results without synthetics, chemicals or toxins. These super-charged products contain active ingredients such as oxygen, pure vitamin C, Coenzyme Q10 and Bio organic botanicals, blended into pure, powerful, clean formulas to help keep your skin looking and feeling radiant. Non-surgical face and neck rejuvenation. Facial sculpting, volume restoration, skin tightening, skin collagen remodeling and wrinkle reduction. Discover the most talked about procedures that have become the new super-breed of non-invasive skincare treatments offered today. In addition to featured treatments, each client receives a comprehensive skincare consultation, intensive personalized treatment and home-care protocol for longer lasting results. I went to see Samantha for some acne problems I was having. I ‘m so glad i did. She helped me by doing a chemical peel and also took years off my skin with dermaplaining. Now I don’t have to wear makeup all the time just to cover up blemishes and my skin is so much softer. I would highly recommend her for all your beauty needs. I’ll definitely be seeing her again. We are look forward to having the opportunity to earn your trust and loyalty while providing you with superior services.